Short positions below 1.1360 with targets at 1.1330 & 1.1310 in extension. 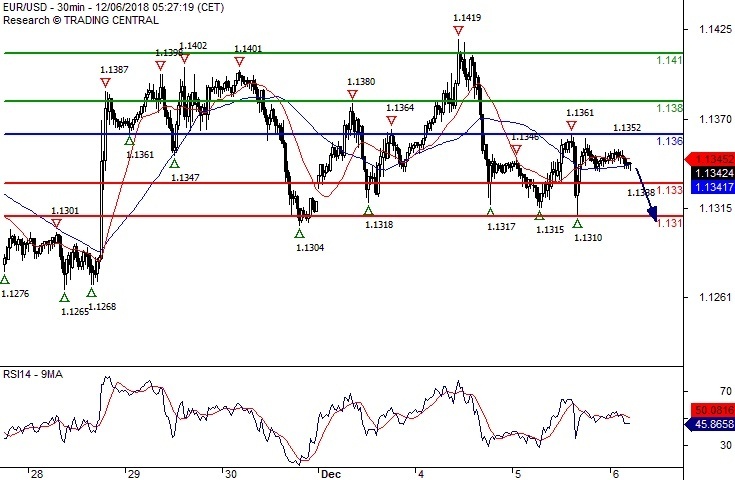 Above 1.1360 look for further upside with 1.1380 & 1.1410 as targets. Short positions below 1.2760 with targets at 1.2705 & 1.2670 in extension. 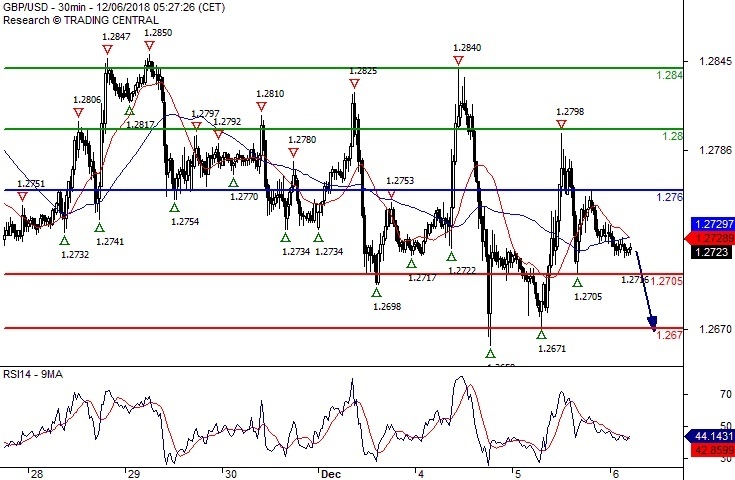 Above 1.2760 look for further upside with 1.2800 & 1.2840 as targets. A break below 1.2705 would trigger a drop towards 1.2670. Short positions below 113.05 with targets at 112.60 & 112.30 in extension. 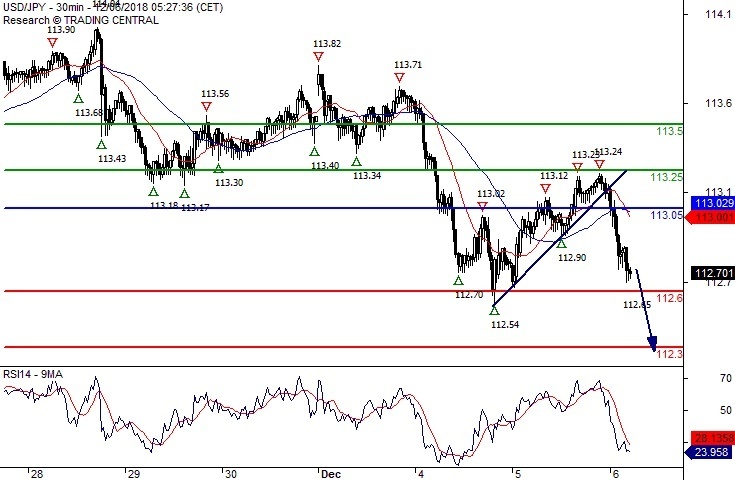 Above 113.05 look for further upside with 113.25 & 113.50 as targets.